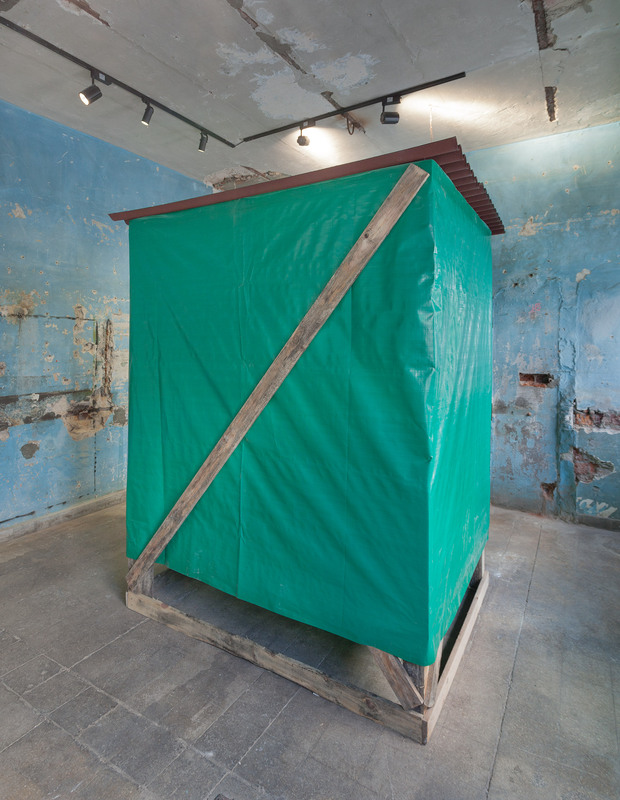 “In “Barrack,” Didem Erbaş explores the perception of transforming space in a to a new and creative way over an individual’s potential to change the environment that she lives in. 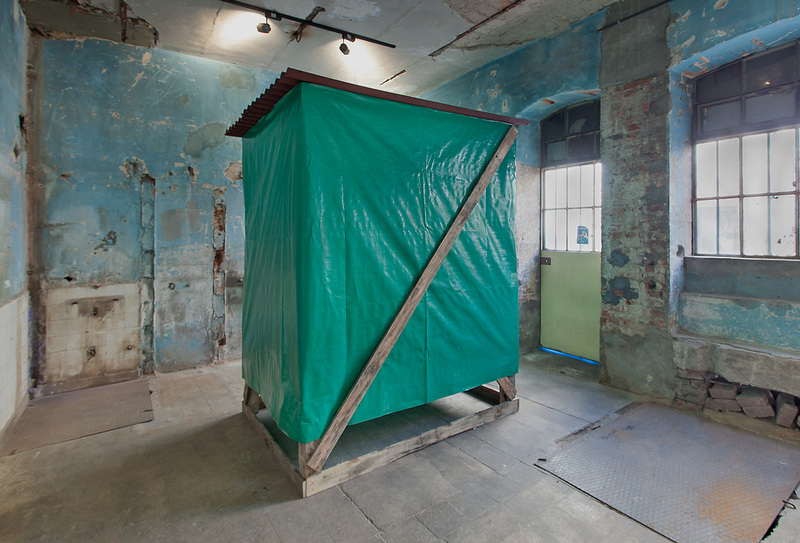 While the installation within the exhibition tries to visualize the perception of sheltering phenomenon where it was constructed due to a number of reasons, such as climate, sheltering and security; the installation also prompts the audience to engage in questioning the basic needs of humanity. Psychogeography, bringing together the values of being drifted around the cities and the nomadic world, forms theoretical foundations of this “daylong” spatial experience.